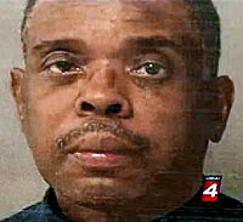 Detroit resident Ronald Page was 55-years-old, retired, and living in Detroit. Back in 2009 he only had about $300 in his Bank of America checking account, but the bank screwed up and gave him unlimited overdraft protection. He decided that was pretty sweet and for 15 magical days in August of that year he managed to withdraw about $1.5 million from the account. You’re probably thinking that anyone with that much money would go on a spending spree, buy some cars, maybe even flee the country. Not Ronald. He blew every single dime of it gambling at casinos in Detroit and Las Vegas. I’m not sure what in the hell kind of ATMs they have at the Greektown casino in Detroit, but on the day Ronald discovered the error, he withdrew over $300,000 from them. That’s a pretty impressive amount, but considering it’s Detroit, and you’re afraid to actually carry money, I guess that makes sense. The U.S. Attorney’s office just recommended 15 months in prison, and that seems like a pretty light sentence. It comes to about $24,000 in stolen money for every week served, and I’d take that bargain in an instant. Ronald has also been ordered to pay restitution, but as a geriatric gambling addict, let’s be honest, that’s not happening unless he gets a real hot hand in a dice game.